The bright orange voice recorder was discovered early Monday about 10 metres from a flight data recorder that was pinpointed back in November, authorities said. "But it's broken into two pieces so hopefully it's still useful" to investigators, Haryo Satmiko, deputy head of Indonesia's National Transportation Safety Committee (NTSC), told AFP. "This will really help the investigation process... and could give some more answers on the cause" of the crash, said Jakarta-based aviation analyst Dudi Sudibyo. 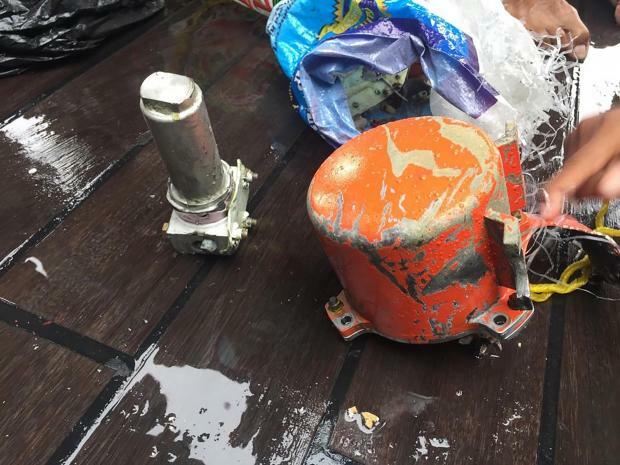 The plane's previously discovered flight data recorder supplied information about the speed, altitude and direction of the plane before it plunged into the sea on October 29. A preliminary crash report from Indonesia's transport safety agency suggested that pilots of Flight 610 struggled to control the plane's anti-stalling system just before the accident. It also found that the Lion Air jet should have been grounded over a recurrent technical problem before its fatal journey, as it criticised the budget carrier's poor safety culture. Black box data help explain nearly 90 per cent of all crashes, according to aviation experts. Despite a dubious safety record and an avalanche of complaints over shoddy service, the budget carrier's parent Lion Air Group, which operates five other airlines, has captured half the domestic market in less than 20 years of operation. It has now become Southeast Asia's biggest airline group by fleet. Indonesia's aviation safety record has improved since its airlines, including national carrier Garuda, were subject to years-long bans from US and European airspace for safety violations, but the country still recorded more than three dozen fatal accidents over the past 15 years.